When Phyto is developing new haircare products, the cosmetic chemists look no further than their own herbarium for the powerful botanical ingredients that are at the heart of the brand. Fascinated by nature, Phyto's Founder Patrick Ales decided to study the power of plants, their history of use in traditional medicine, and the role they might play in haircare. Phyto works with more than 500 plant ingredients to develop the formulas for its products. Phyto's innovative scientific lab - complete with doctors, pharmacologists, botanists and biochemists - is able to identify and produce the most active plant extracts. 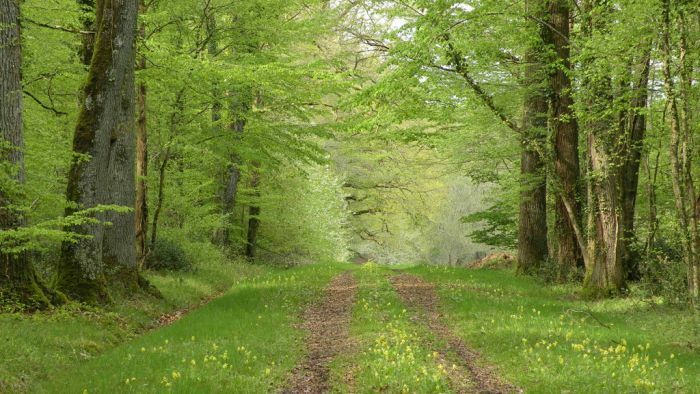 Their work, validated by rigorous scientific experiments, has allowed Phyto to extract the most active part of the plant (leaf, flower, stem or root) to use in the most effective concentration. Phyto's products are 95 percent natural and are free of chemicals like parabens, silicones, mineral oils, and synthetic and alcohols. For example, Phyto replaces synthetic alcohol in all its hairsprays with beetroot alcohol, which less drying for the hair. For example, Phyto replaces synthetic alcohol in all its hairsprays with beetroot alcohol, which less drying for the hair. We spoke with Anthony Cristiano, global artistic director for Phyto, about Ales, the power of botanicals and the newest products for curls. Cristiano met Ales in 1989 while working as an apprentice at Vidal Sassoon and was struck by his passion and the quality of Phyto's products. "Innovation is at the core of this company," Cristiano says. 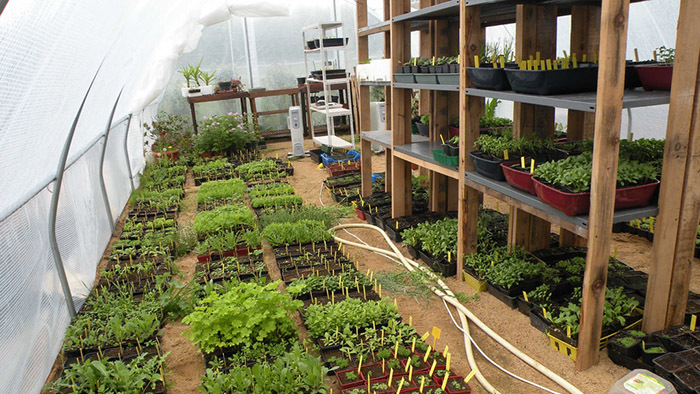 "Phyto still has its own lab and chemists, and grows herbs for its products in the South of France. It's uniquely developed for textured hair. Each bottle of Phyto is pure integrity and passion." AC: Patrick Alès launched the brand in 1967. Alès noticed that chemically-laden products were taking a serious toll on the hands of hairdressers and the hair of their clientele. He wanted to create a gentler, less harmful range of products. At the time, he was renovating his old farm house and found three jars of herbs, which became his inspiration for Phyto. He decided to study the power of plants, their history of use in traditional medicine, and the role they might play in hair products. 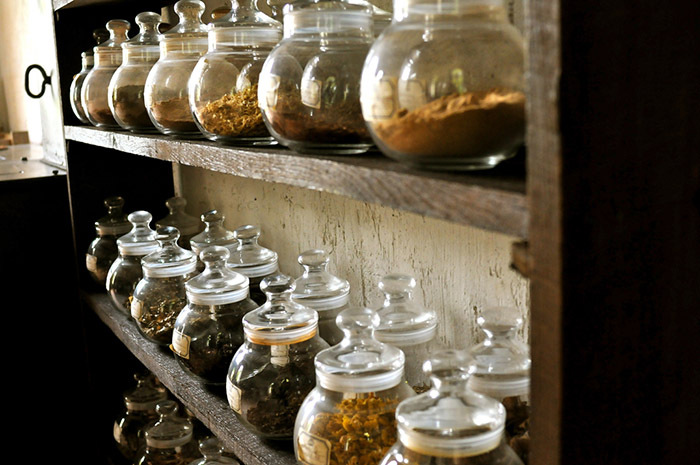 All Phyto products are comprised of 95 percent botanicals. 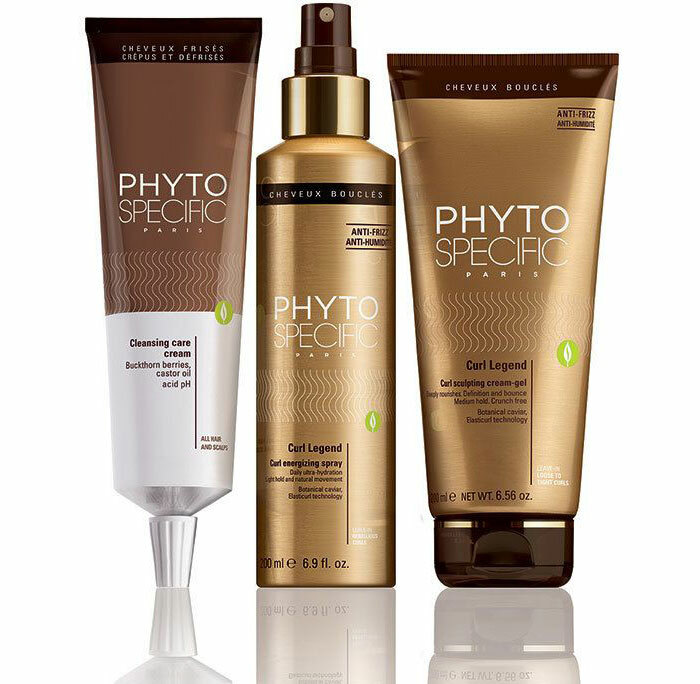 Phyto's first products, Huiles D' Alès and Phyto 7, were created to rescue his clients' dry, bleached-out locks. In 1998, Phyto Specific was launched. It is a specialized, professional brand designed to meet the particular needs of curly, coily and relaxed hair. Phyto Specific PhytoRelaxer is the first no-lye relaxer. Tell me about Phyto Specific's new products. AC: The new Cleansing Care Cream hydrates and cleanses the scalp and hair. We recommend applying twice – first to cleanse and second to treat. It can be used on wet or dry hair. We recommend cleansing two to three times a week, alternating the cleansing care cream with your maintenance shampoo. Buildup can clog follicles preventing hair growth. Both cleansers can be followed with one of Phyto Specifics curl masks, which include the Rich Hydration Mask, the Ultra Smoothing Mask and the Curl Hydration Mask. We also launched our Curl Legend styling products. The Curl Energizing Spray – a curl spa in a bottle – defines and hydrates loose to tight curls. It can be combined with the Curl Sculpting Cream-Gel, which defines curls and controls frizz without crunch. The Spray is perfect for people with finer hair, while the Cream-Gel is ideal for those with coarser, tighter curls. What's inside? Quinoa to hold moisture and definition for 24 hours. 98% botanical formulas! Available at ULTA, PHYTO.com and in top salons nationwide. We also have our Pre-Shampoo Baobab Oil, a luxurious oil that nourishes and regenerates the hair and scalp. What are some of your favorite Phyto and Phyto Specific products? AC: My first introduction to Phyto was Phyto Plage L'Original Protective Sun Oil, which I use to style the hair. It has a little tackiness and creates great beachy hair. My favorite product is the Phytologist Scalp Treatment. Beautiful hair grows from a healthy scalp. It's a product meant to be used a minimum of two days a week for hair strengthening and growth. Instantly after using, you'll stop shedding and see results. I also love PhytoVolume Actif Volumizing Spray, which is a great base for creating voluminous shapes, and Volume Intense Mousse, which provides amazing control and creates beautiful volume. What are the benefits of layering/cocktailing products? AC: I love to cocktail products. You want to think about what each product does to each other – how they relate. If I want to break down a gel, I mix it with a cream-based, emollient product. For example, I would use Phyto 7 and Phyto 9 leave-in conditioners with Curl Sculpting Cream-Gel. Or I would cocktail Curl Energizing Spray with PhytoDéfrisant Botanical Smoothing Balm. They complement each other. Phyto Specific Integral Hydrating Mist is a great base for every curly person. It provides complete hydration, which can prevent frizz. Frizz results when the cuticle is blown open. The spray fills in the cuticle, making it much suppler. The majority of the Phyto line can be layered because of the botanicals. They don't leave the hair feeling weighed down or heavy. They just do the job. Phyto allows you to have fun. You can't really make a mistake. What are some top trends you're seeing in curly hair? AC: People are really embracing their curls. I can see it with my children, especially my 16-year-old daughter. There was a time when she didn't like her curls because all her friends had straight hair. Now she's embracing her curls. We're seeing more short curly styles – mid-length bobs and layers. We're even starting to see women with straight hair creating beach waves. Everyone wants texture! You are a curly yourself. What is your own personal hair story? AC: I didn't always embrace my curls. When I was growing up in the '70s, everyone was wearing their hair with straight. I slowly learned how to enjoy my hair curly in my 20s and 30s, wearing it long. After cutting it short for a while, I'm embracing wearing it long again. It's down to my shoulders. I'm happy about my curls. But thank God for Phyto! Sage has been used since ancient times to combat hair loss and baldness. It encourages new hair growth as by improving circulation to the scalp, providing more nutrition to the hair follicles. White Willow Bark is a gentle cleanser, great for clearing out skin pores of excess oil. It helps to balance oily scalps while maintaining a healthy level of sebum for conditioning and protecting the hair strand. Calendula oil applied to the scalp promotes growth of stronger hair by increasing collagen production and circulation in hair follicles. It can be used to treat dandruff/dry scalp, eczema, psoriasis and rosacea. It helps with skin and hair regeneration by improving skin elasticity and healing damaged hair. Baobab oil also contains Vitamins A, D, and E to help with dry winter hair and it is packed with Omega 3, 6, and 9. It can be used in hair styling products to impart hold, gloss and hardness. Rosemary contains ursolic acid which helps to increase scalp circulation – this means more oxygen and nutrients will be sent right to your hair follicles, and that in-turn promotes healthy hair growth. Cacao helps increase blood circulation in your scalp, increasing the growth of healthy and lustrous locks. Cacao has anti-inflammatory properties, which helps in minimizing the odds of getting scalp infections. The Vitamin E increases blood circulation levels to your scalp, ensuring hair follicles get ample nutrients. At last, you can boast of soft hair with no split ends. This post is sponsored by Phyto Specific.